Bite. Melee weapon attack: +5 to hit, reach 5 ft., one target. Hit: 6 (1d8 + 2) piercing damage. If the target is a creature, it must succeed on a DC 13 Strength saving throw or be knocked prone. Keen Hearing and Smell. The mongrel has advantage on Wisdom (Perception) checks that rely on hearing or smell. Pack Tactics. 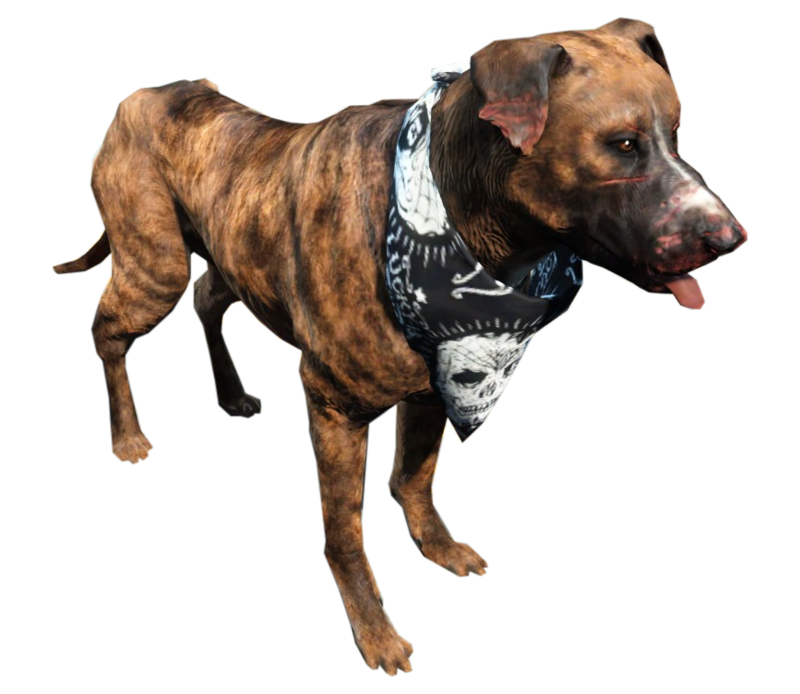 The mongrel has advantage on attack rolls against a creature if at least one of the dog's allies is within 5 feet of the creature and the ally isn't incapacitated. Alpha. The mongrel has advantage on saving throws against becoming Frightened. Pack Leader's Howl. All members of the alpha's pack within 60 feet that can hear it lose the Frightened condition if they have it and can move half their speed. Opportunity attacks made against them during this movement are made with disadvantage. The Pack Leader cannot use this action if it is itself Frightened. Hunter's Howl. 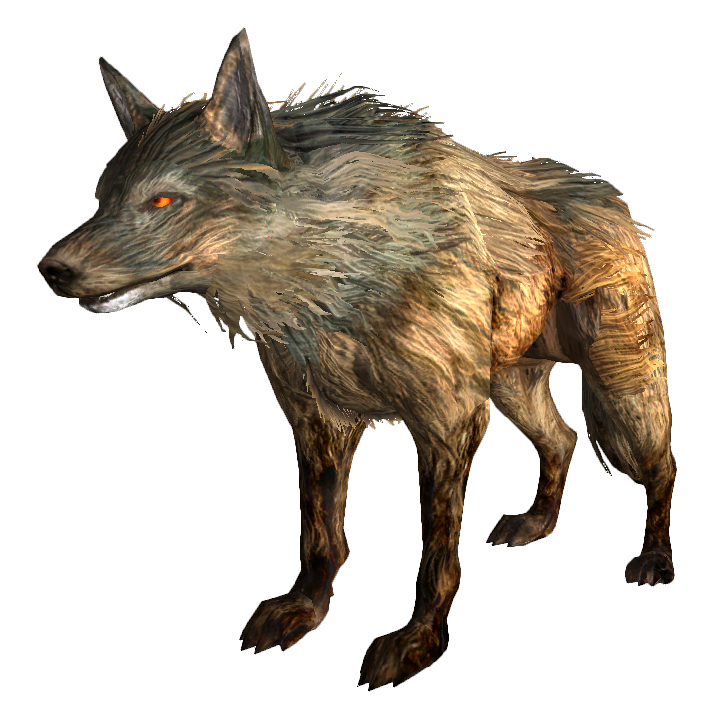 When a hostile creature moves, Dashes, or Disengages, the alpha may use its Pack Leader's Howl as long as it hasn't been used since the beginning of their most recent turn. Any member of the pack that moves must move toward the triggering creature. Bite. Melee weapon attack: +4 to hit, reach 5 ft., one target. Hit: 4 (1d6 + 1) piercing damage. If the target is a creature, it must succeed on a DC 12 Strength saving throw or be knocked prone. Bite. Melee weapon attack: +5 to hit, reach 5 ft., one target. Hit: 5 (1d6 + 2) piercing damage. If the target is a creature, it must succeed on a DC 13 Strength saving throw or be knocked prone. Multiattack. The feral mongrel makes two attacks. Bite. Melee weapon attack: +6 to hit, reach 5 ft., one target. Hit: 7 (1d8 + 3) piercing damage. If the target is a creature, it must succeed on a DC 14 Strength saving throw or be knocked prone. Aggressive. 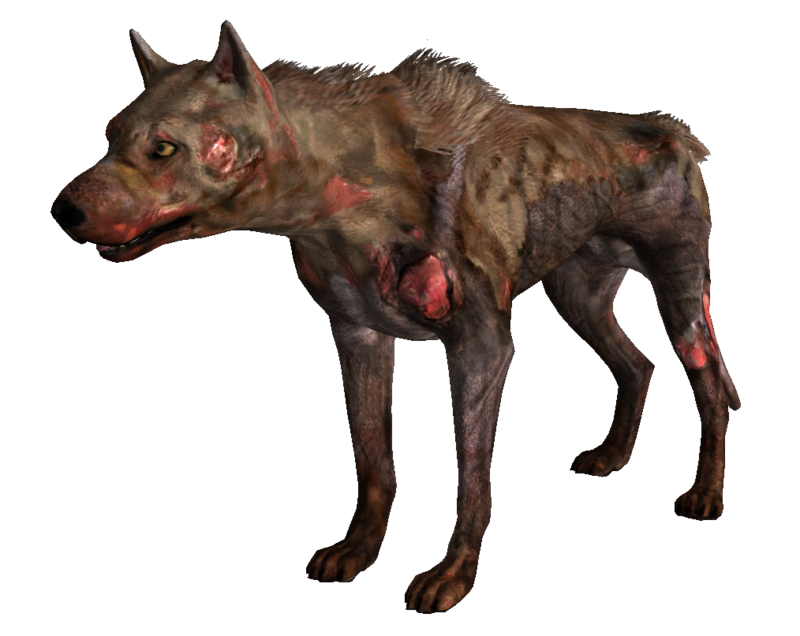 As a bonus action, the rabid mongrel can move up to its speed toward a hostile creature that it can see. Multiattack. The rabid mongrel makes two attacks. Bite. Melee weapon attack: +6 to hit, reach 5 ft., one target. Hit: 7 (1d10 + 2) piercing damage and the target must make a DC 13 Constitution saving throw or be infected with rabies. If the target is a creature, it must also succeed on a DC 14 Strength saving throw or be knocked prone. Bite. Melee weapon attack: +7 to hit, reach 5 ft., one target. Hit: 8 (1d10 + 3) piercing damage and the target must make a DC 13 Constitution saving throw or be infected with rabies. If the target is a creature, it must also succeed on a DC 15 Strength saving throw or be knocked prone. Radioactive Glow. The glowing mongrel sheds bright light in a 20-foot radius and dim light for an additional 20 feet. Multiattack. The glowing mongrel makes two attacks. Bite. Melee weapon attack: +7 to hit, reach 5 ft., one target. Hit: 7 (1d10 + 2) piercing damage and 9 (2d8) radiation damage. If the target is a creature, it must also succeed on a DC 15 Strength saving throw or be knocked prone. Bite. Melee weapon attack: +8 to hit, reach 5 ft., one target. Hit: 8 (1d10 + 3) piercing damage and 9 (2d8) radiation damage. If the target is a creature, it must also succeed on a DC 16 Strength saving throw or be knocked prone.